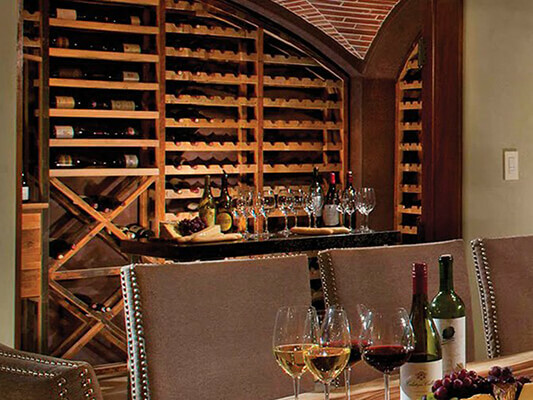 When it comes to wine cellar design and build, Wine Corner can help. 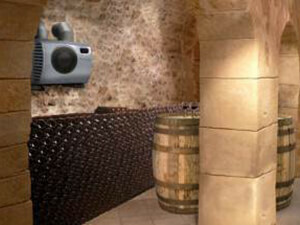 The companys latest project was an underground wine cellar design and build project in Liverpool. 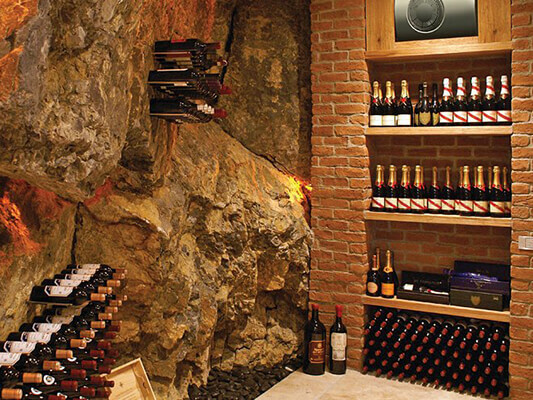 When it comes to wine cellars, Wine Corner has it covered. Wine Corner’s latest product addition has nothing to do with wine, but everything to do with Whiskey or Whisky and the tasting of it. 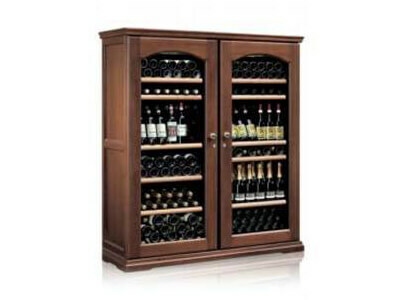 Wine Corner has introduced a new range of solid wood wine cabinets; the Timeless Wooden Wine Cabinets Collection. 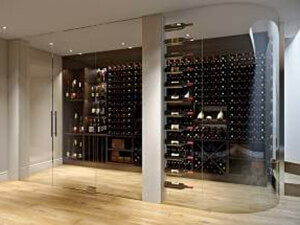 Whether you're a professional collector of wines or an amateur connoisseur of wine, Wine Corner is here to provide you with one of the most comprehensive ranges of wine storage solutions, from wine cellar design and build and wine conditioning units through to wine racking, wine walls, wine dispensing and wine preservation systems. As a small and independent company with over twenty years’ experience in this sector Wine Corner is able to supply its customers with top quality products sourced from around the world from some of the industry’s leading manufacturers. 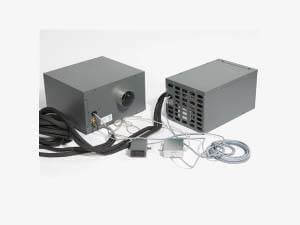 We are the UKs sole distributor for these suppliers and have the ability to provide a complete bespoke service or construct a system using the various products available which can often result in significant savings for our customers so if you're a hotelier, restaurateur, architect or retailer please get in touch to discuss your exact requirements. As a wine lover you'll already know that wine is fragile, needs careful attention and the best storage environment in order for it to reach its full potential. Wine Corner can provide you with the perfect solution to this problem no matter how large or small your wine collection may be with a wide range of products of the highest quality that offer optimum levels of performance and reliability. Examples of our work may be found by visiting the gallery on our website so please feel free to take a look Here. Often referred to as wine cooling units the wine conditioning units from Wine Corner are capable of cooling wine cellars of up to 100m3. 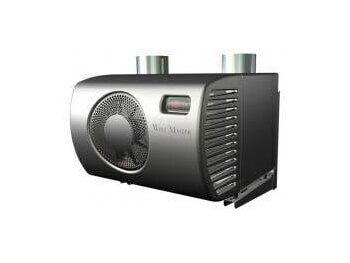 We offer only the very best in wine conditioning units in particular the WINE IN50+ which is one of the very best units mainly because it's the quietest system on the market today. It also uses 30% less energy than comparable products on the market so to find out more please visit our website to check out the specifications of our wine conditioning units. The “By the Glass” wine dispensers and wine preservation systems from Wine Corner are here to respond to one of the fastest growing trends in the foods and drinks marketing sectors around the world. “By the Glass” technology keeps the opened bottle of wine in a protective atmosphere and perfect serving temperature. As the wine never oxidises it guarantees weeks of immaculate freshness and convincing quality as if the bottle had only just been opened. 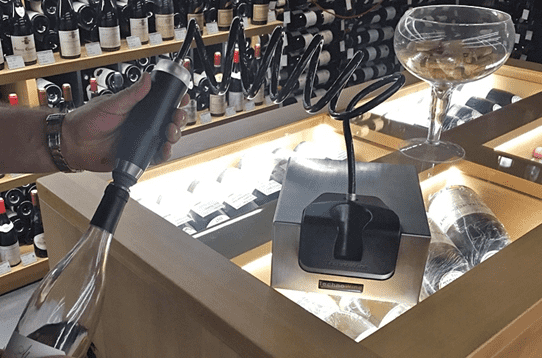 Wine corner offers a range of both modular and standard wine dispensers including the world’s first dispensing system that connects to the internet by Smartphone. 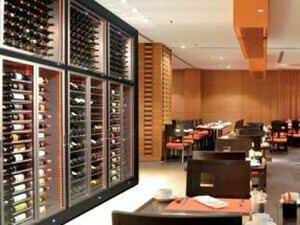 For more information about “By the Glass” systems please contact us or visit us website. 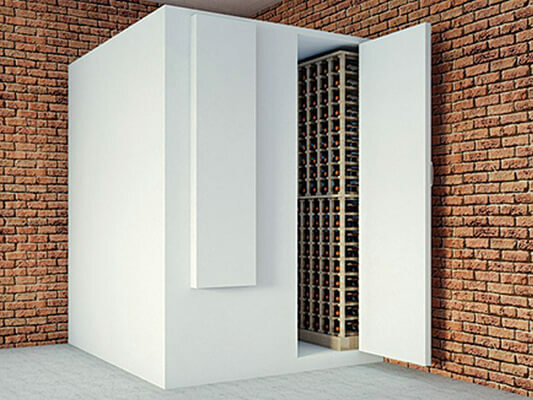 The Wine Wall modular wine storage solution is available exclusively from Wine Corner. This innovative easy to assemble wine storage system can be created to match your exact wine storage needs. 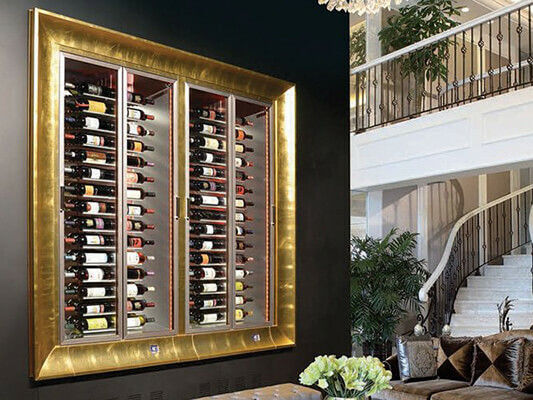 You simply choose the wine wall size and add frames and side panels to fit exactly into your existing room style. 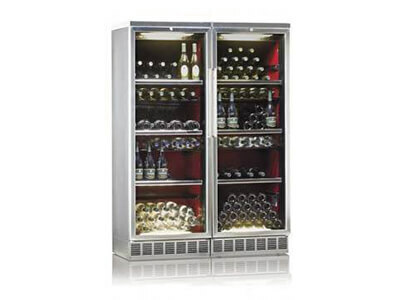 Depending on the style you choose these systems can store bottles facing inwards and outwards with optional extras to include LED lighting with remote control and champagne bottle displays. Much further information and specifications may be found on the Wine Corner website. Wine Corner supply wooden wine racking and commercial wine racking displays as well as wine rack kits made from wood and quality metal capable of holding up to 110 wine bottles. This collection also includes the beautifully created and finished Arredo wine racks which have been specifically designed to look like a beautiful piece of furniture making them suitable for both living rooms and wine cellars. We also offer our customers a made to measure wine racking service in either solid oak or pine stained light oak - the choice is yours. 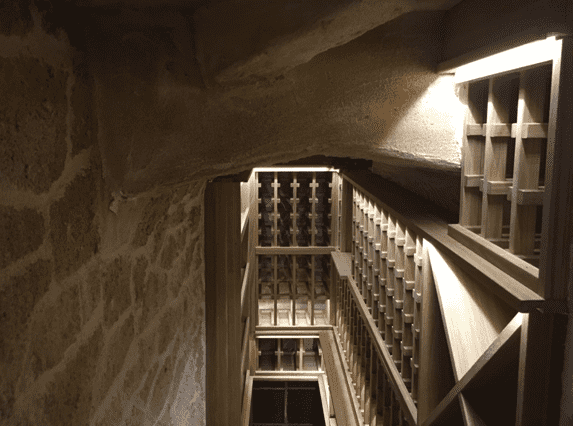 If you have any questions about our wine racking solutions please do not hesitate to contact us. 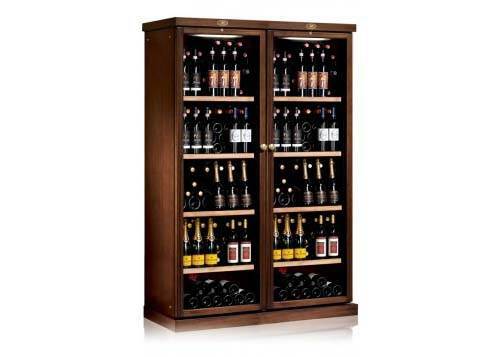 You can rest assured there will always be a wine cabinet to suit your exact requirements from Wine Corner. We are the only UK company to stock the CI140 cabinet which allows the facility to fit a door of your choice. We offer a range of solid wood and wood panel wine cabinets in cherry, oak walnut and wenge and finished in matt lacquer in RAL colours. These cabinets can store up to 552 bottles. 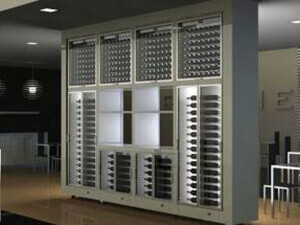 Our metal wine cabinets include both integrated and freestanding models from 18 up to 276 bottle capacities. All our cabinets offer different shelving options and can be mono or multi temperature zoned. 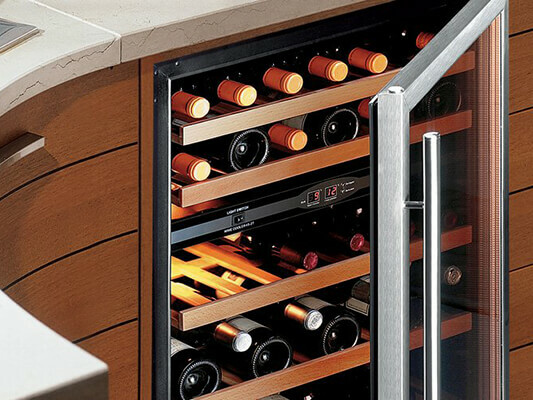 To help you choose the perfect wine cabinet Wine Corner offers a “Wine Cabinet Finder Facility” on our website.